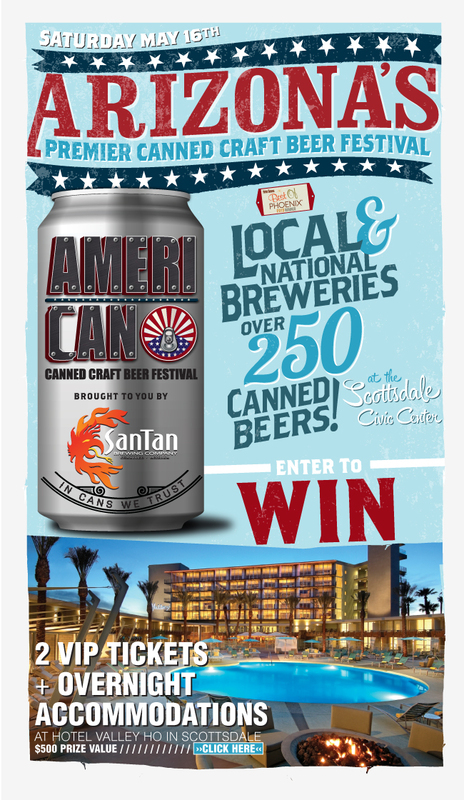 What: SanTan Brewing Company presents the 5th Annual AmeriCAN Canned Craft Beer Festival supporting and celebrating the craft beer movement during the recognized American Craft Beer Week. Craft can award ceremony, live entertainment, craft food, VIP quarters, nano beer garden, beer Olympics and over 250 local and national beers celebrating the canned craft beer revolution. Fill out the form below & be entered to win two VIP tickets plus accommodations to the Hotel Valley Ho on Saturday night.